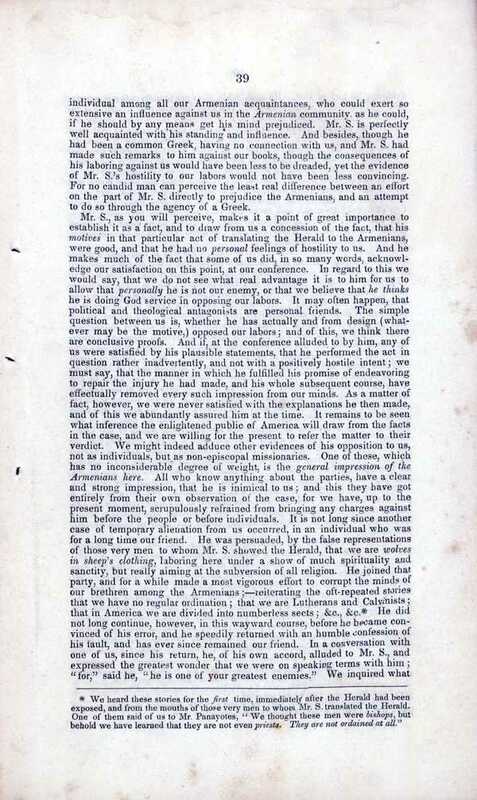 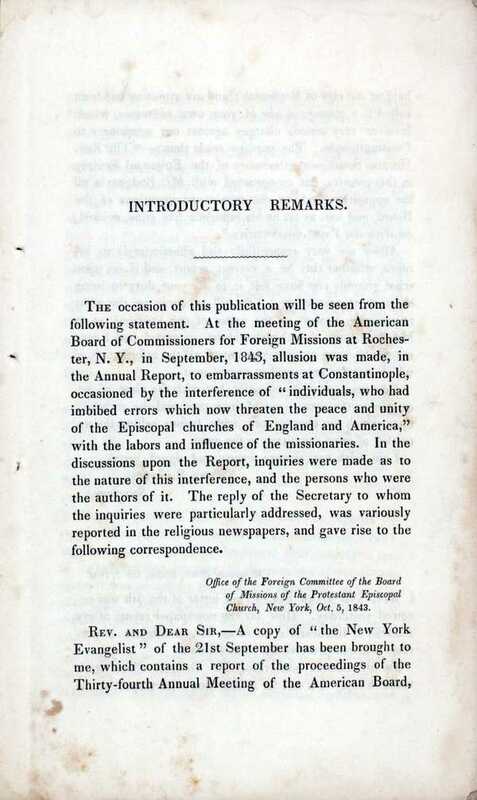 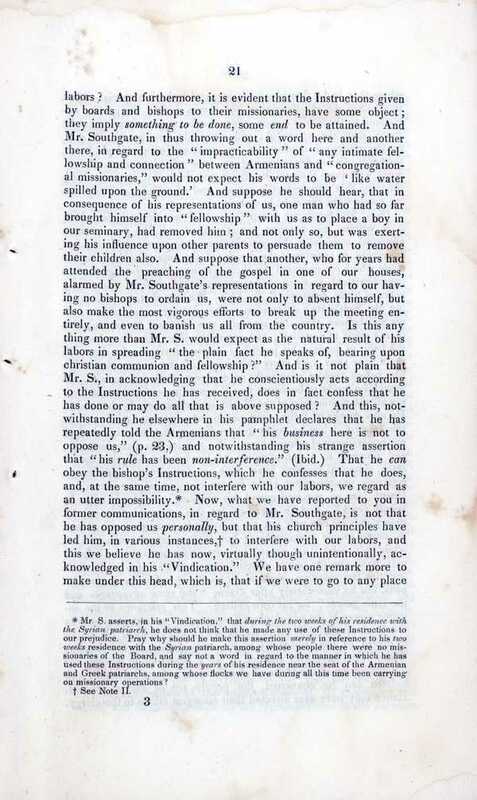 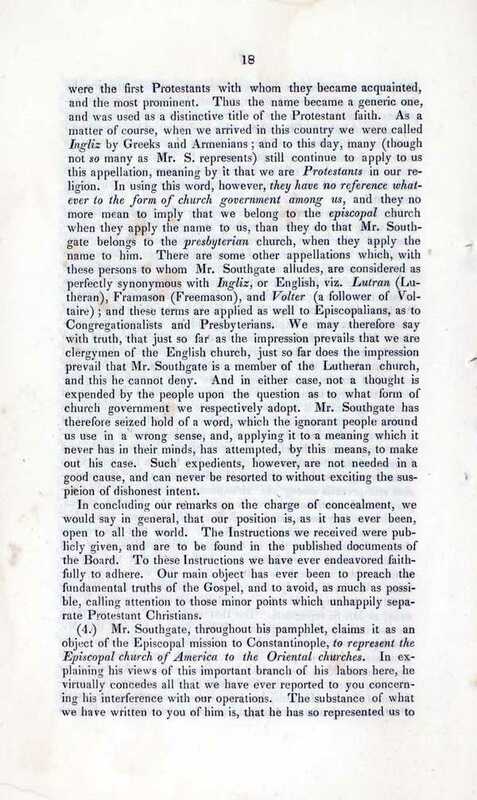 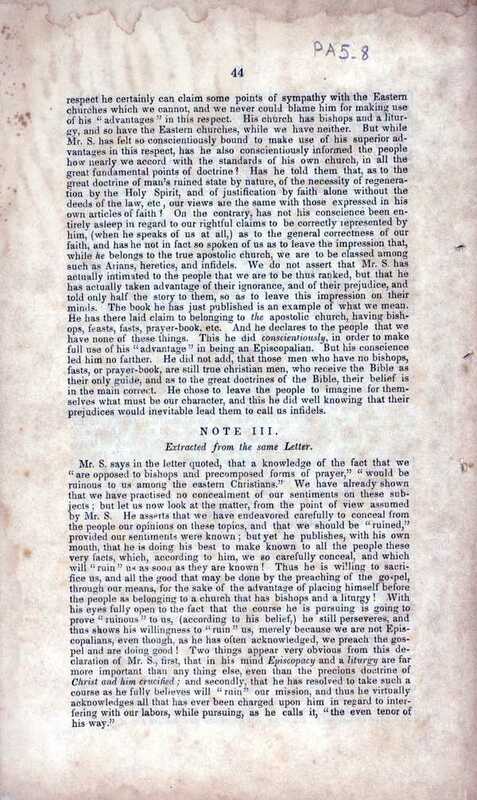 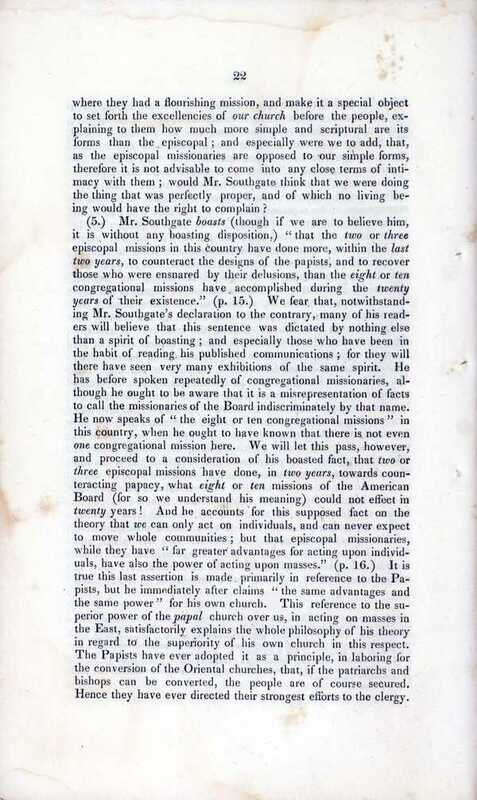 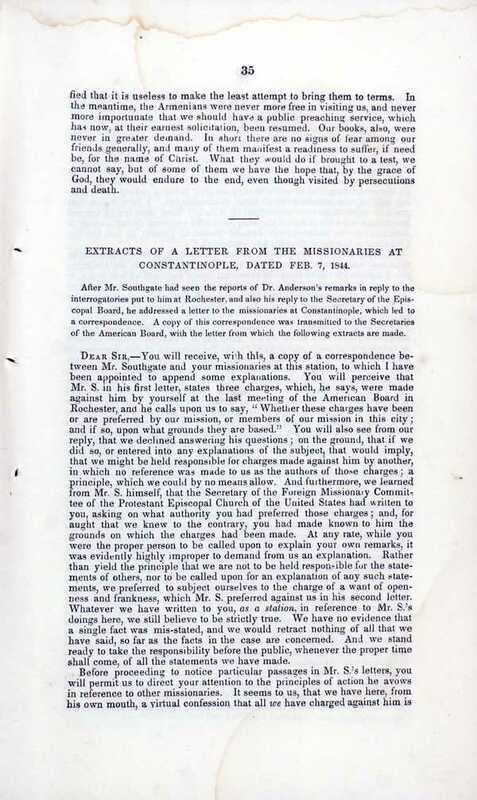 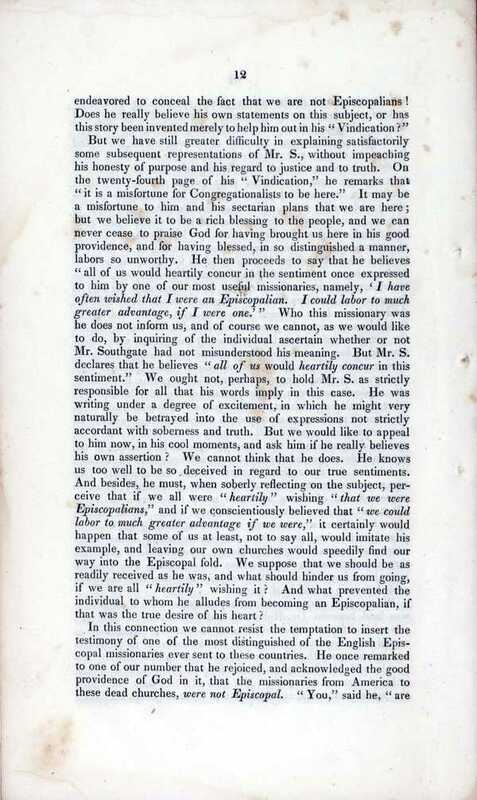 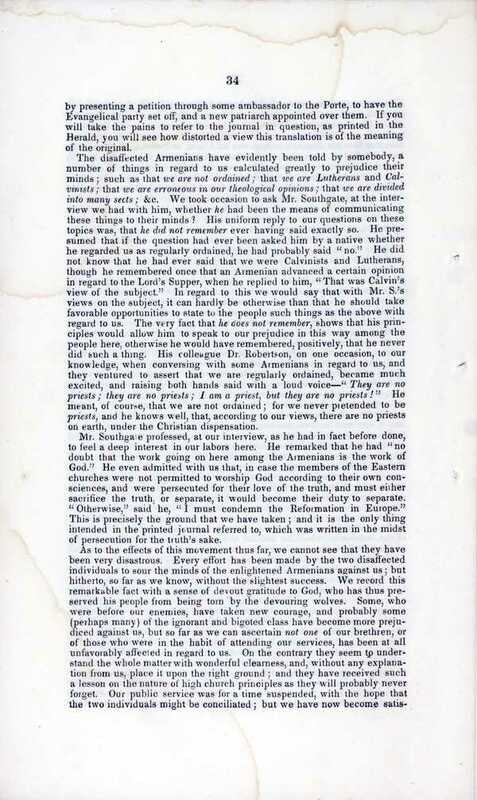 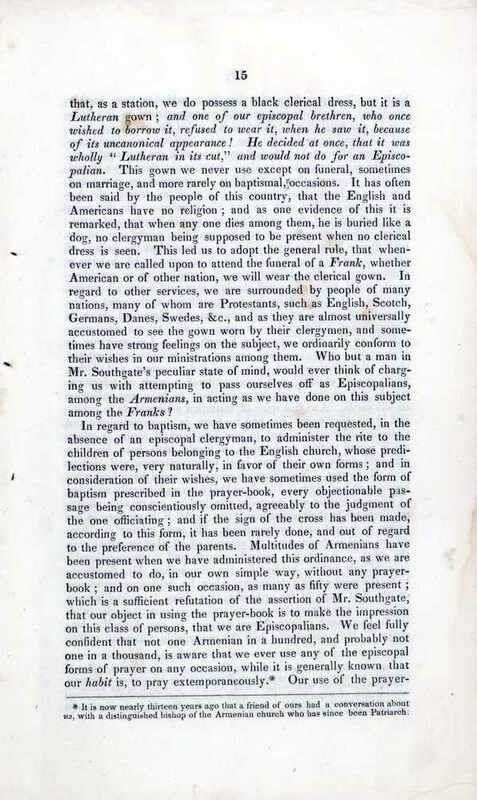 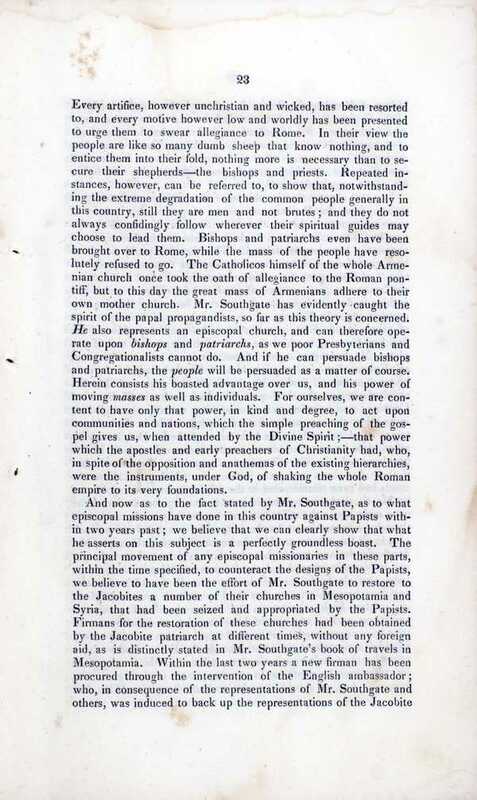 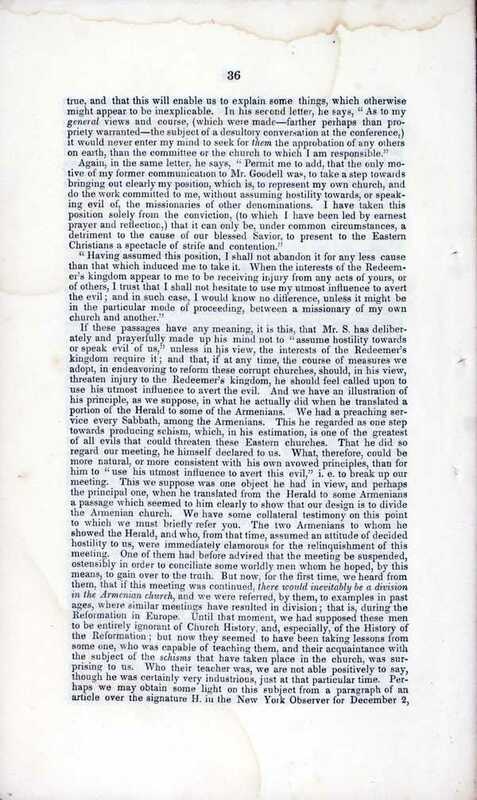 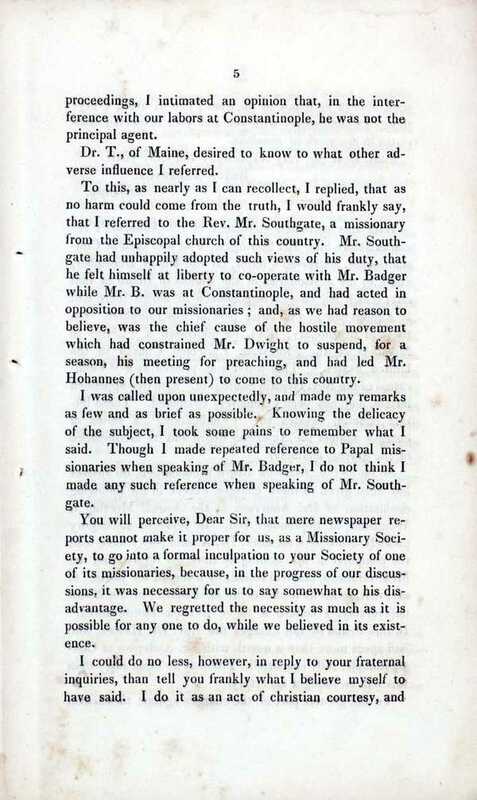 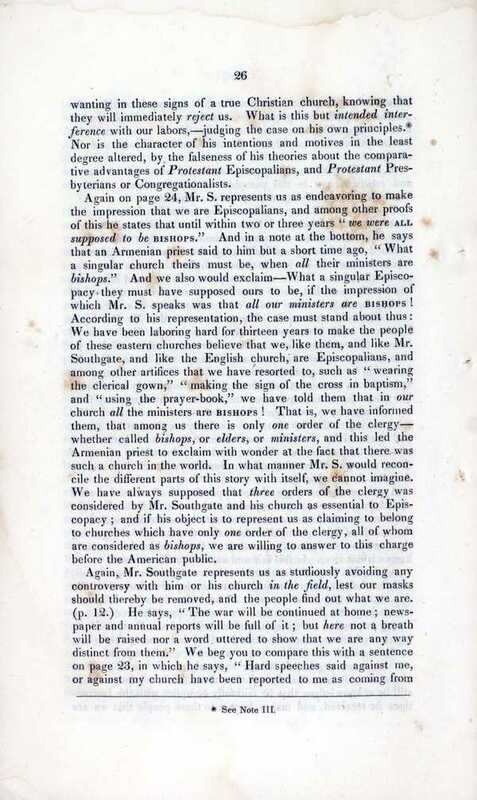 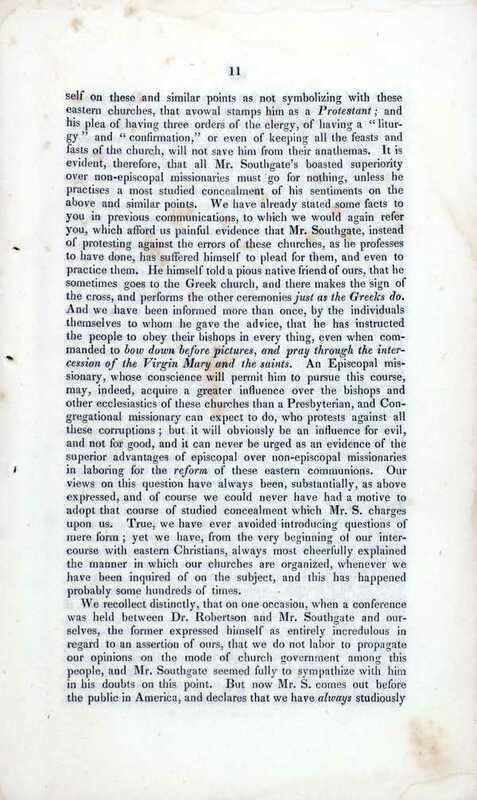 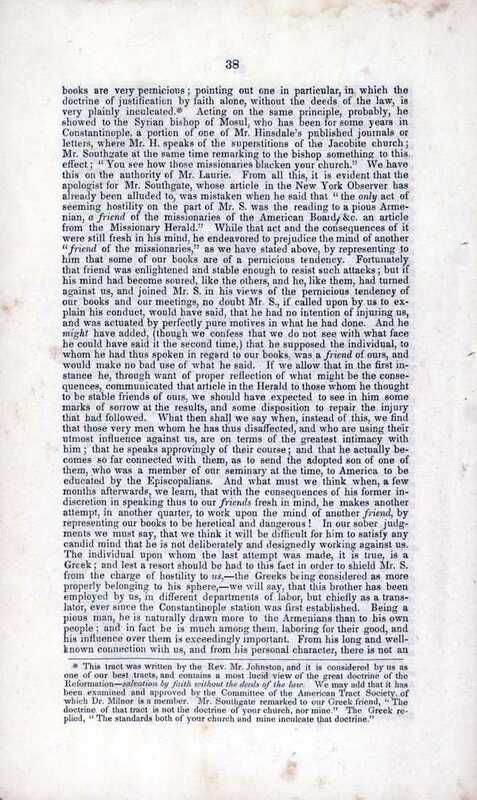 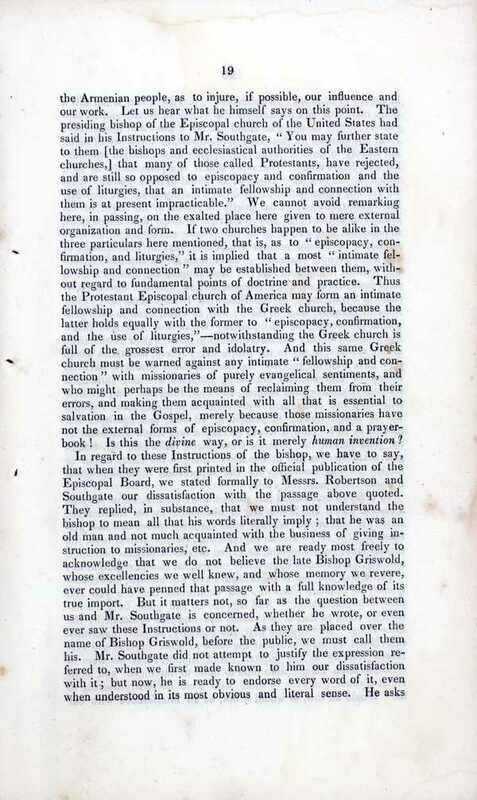 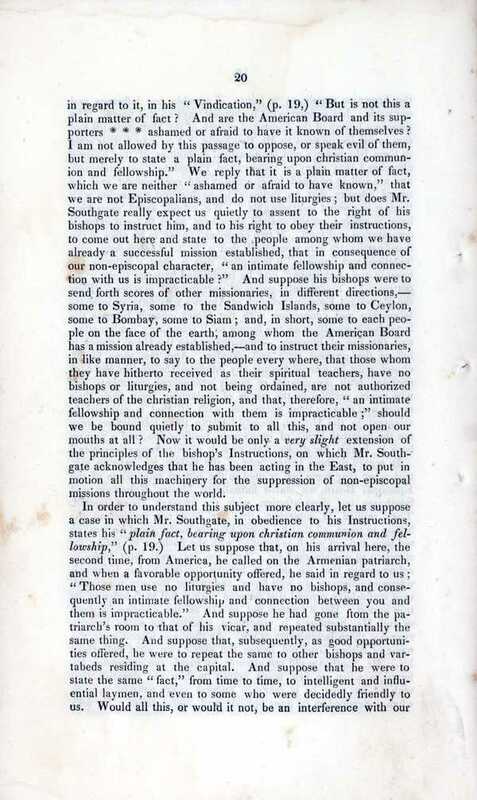 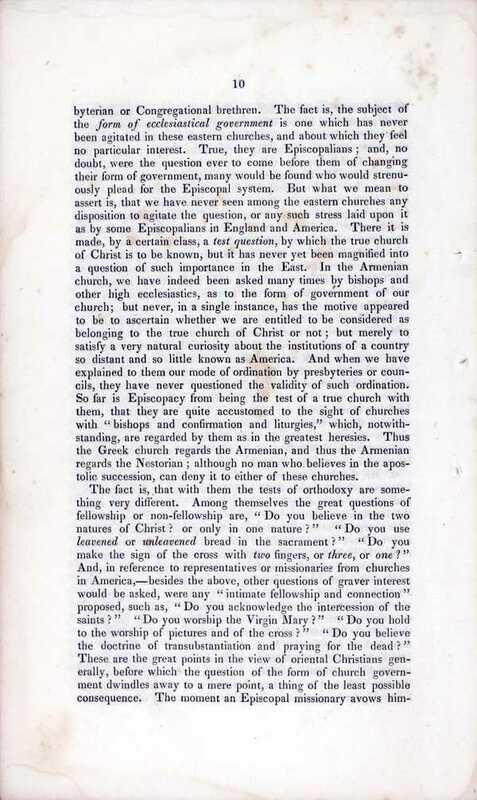 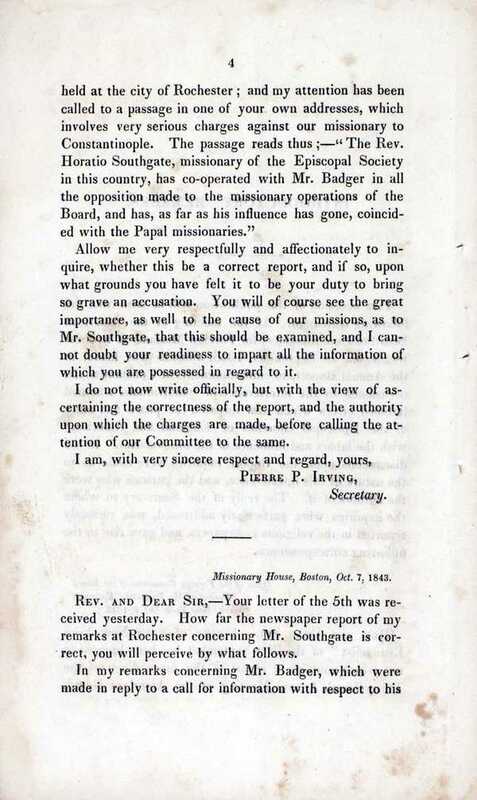 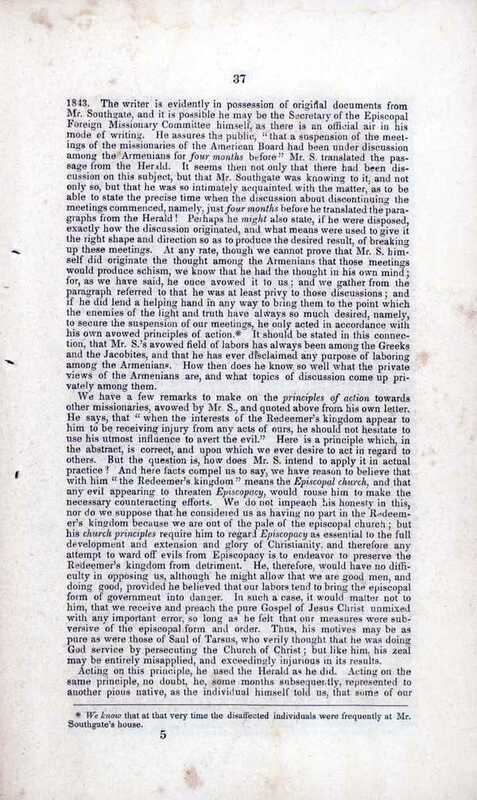 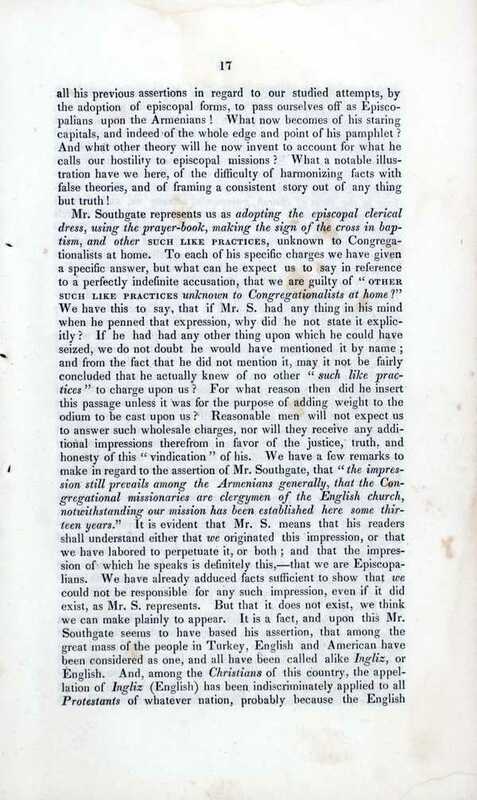 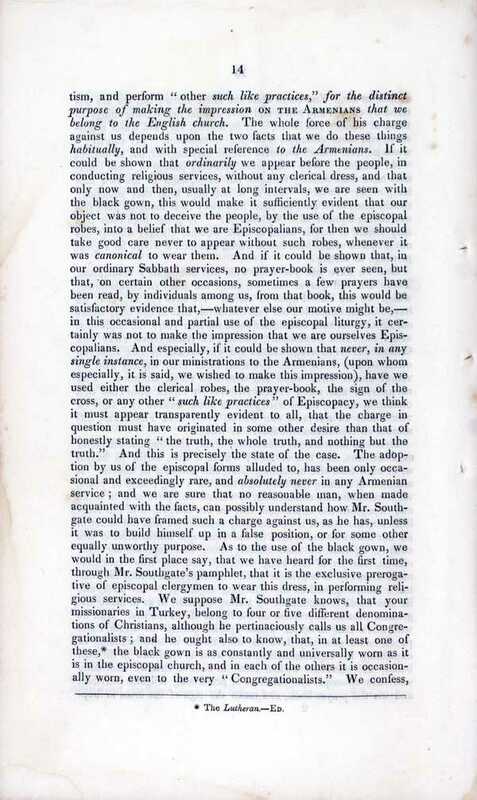 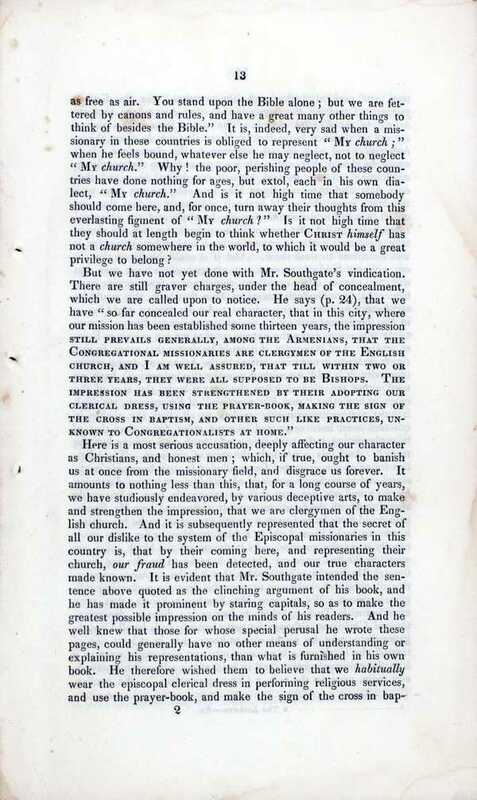 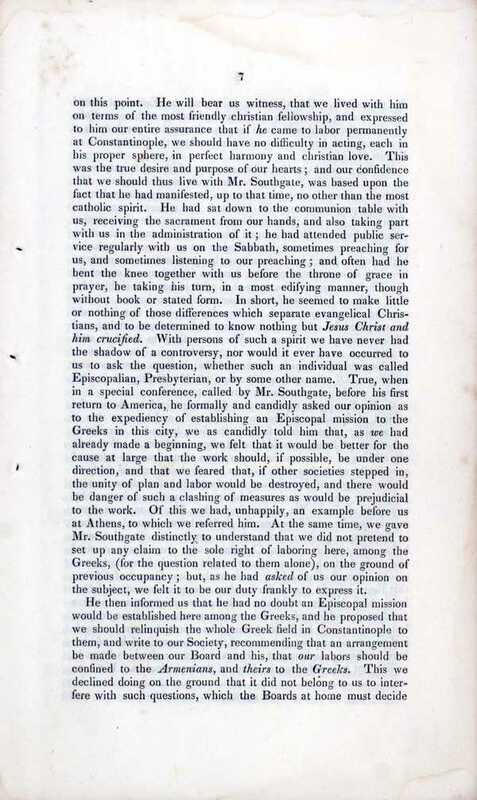 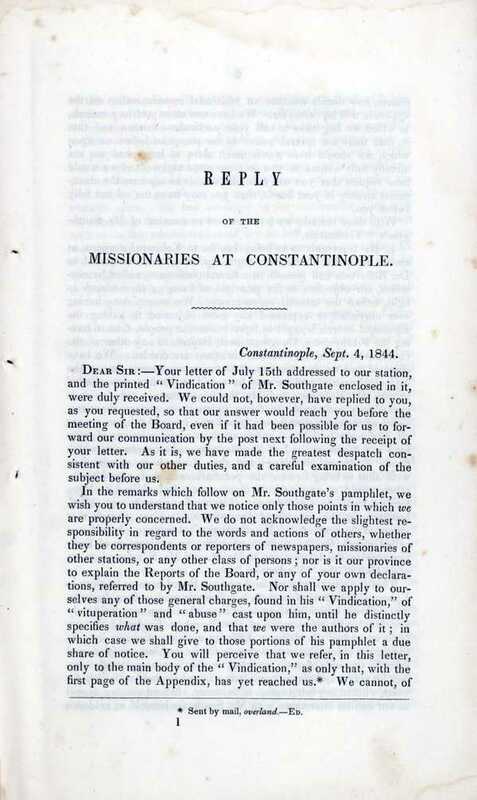 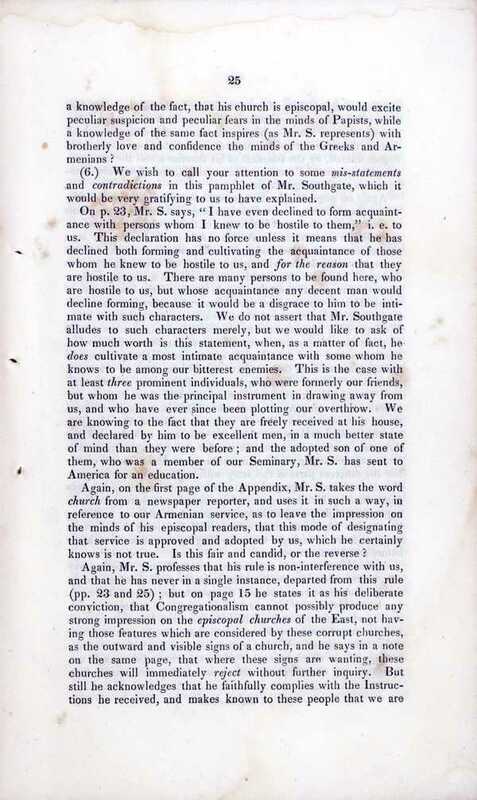 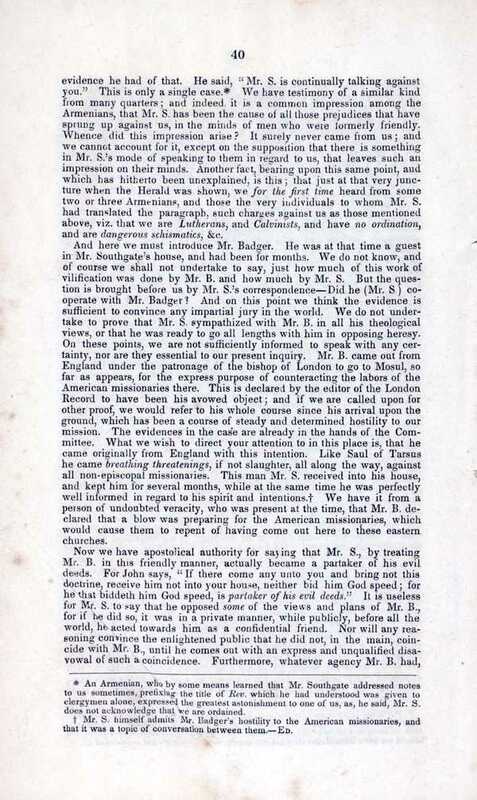 Response of American Board missionaries, at Constantinople, to charges by Rev. 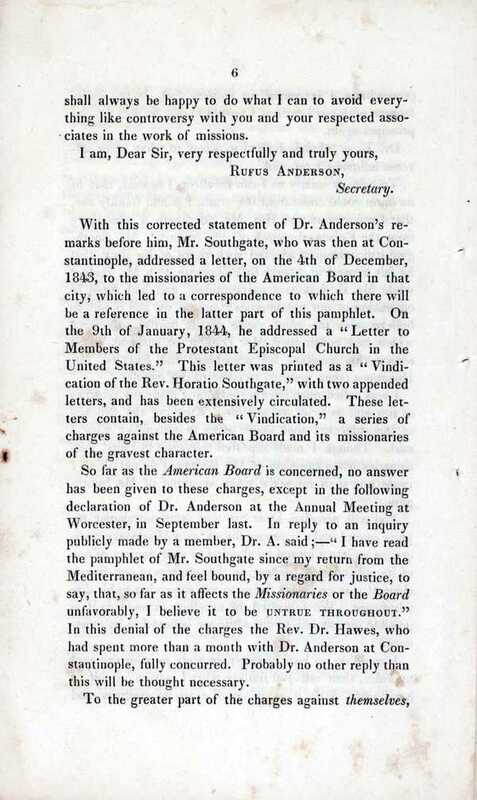 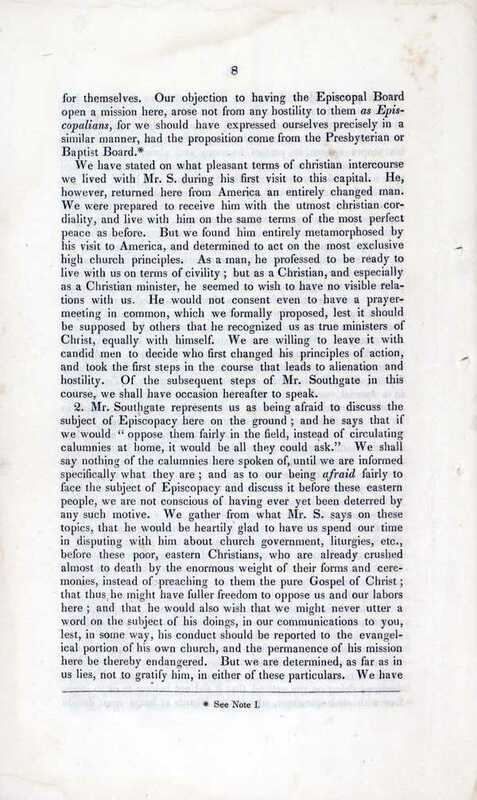 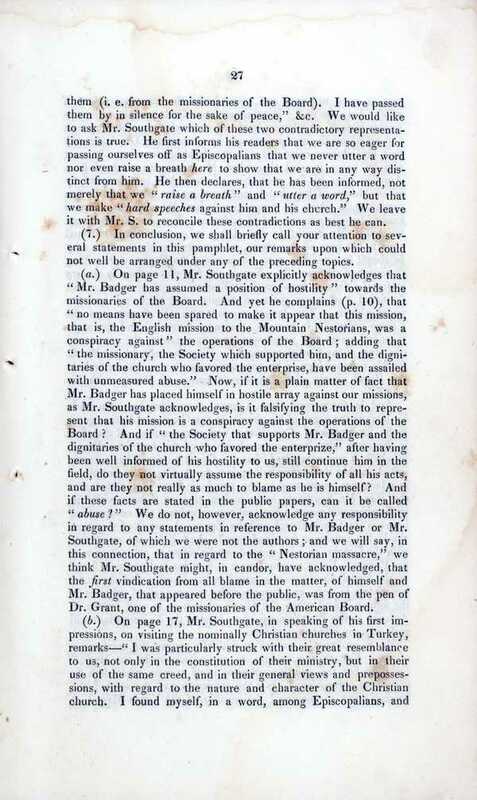 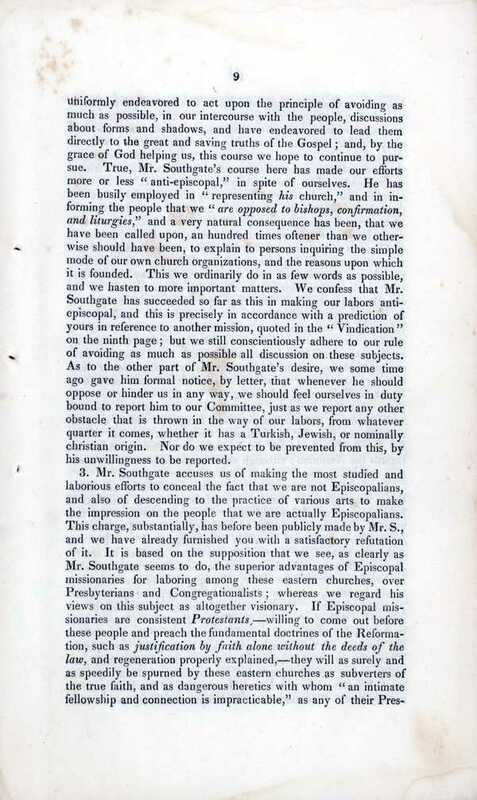 Horatio Southgate, a missionary of the Episcopal Society, which threatened to disrupt the peace and unity of the Episcopal churches of England and America. 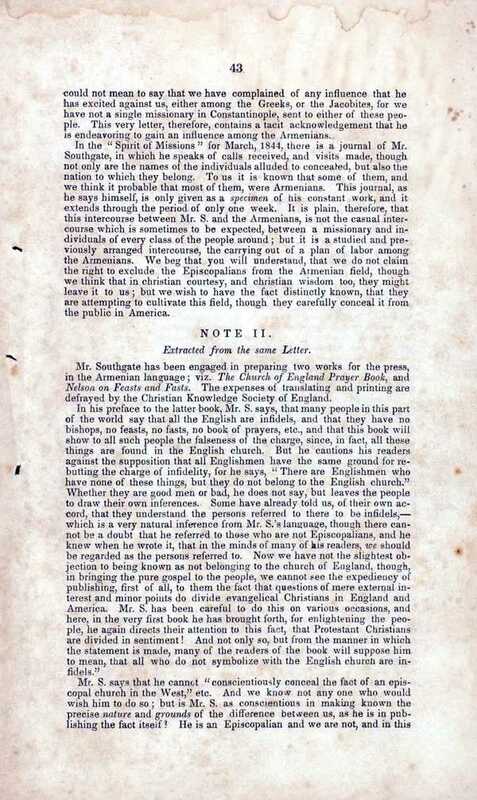 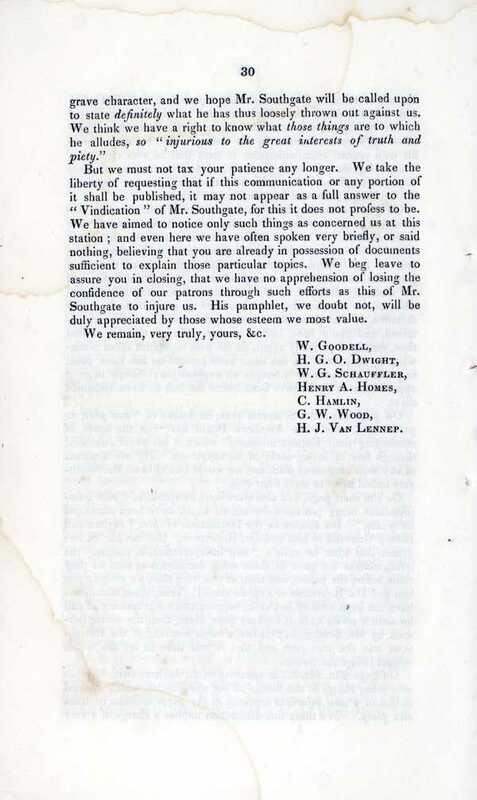 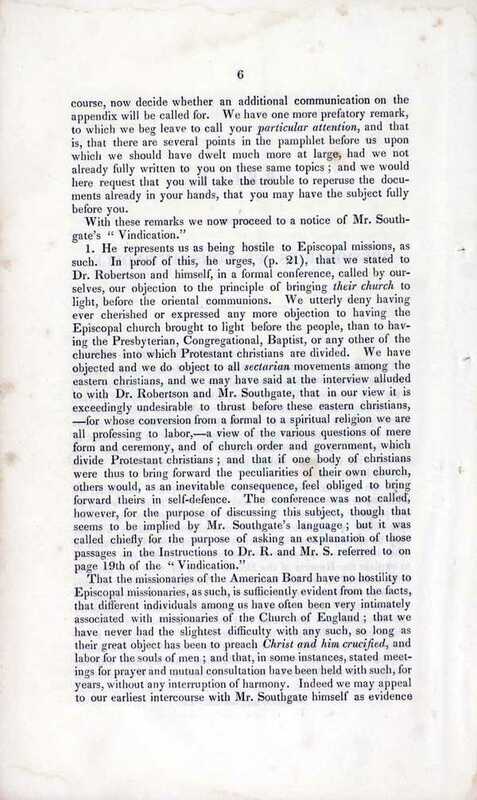 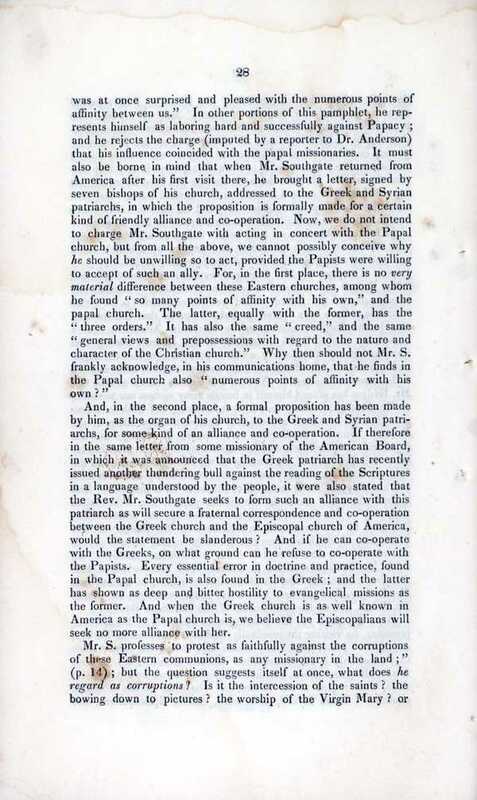 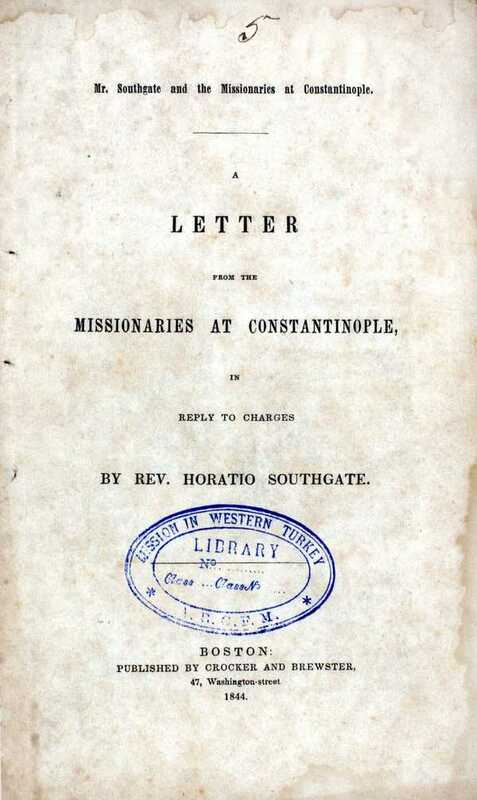 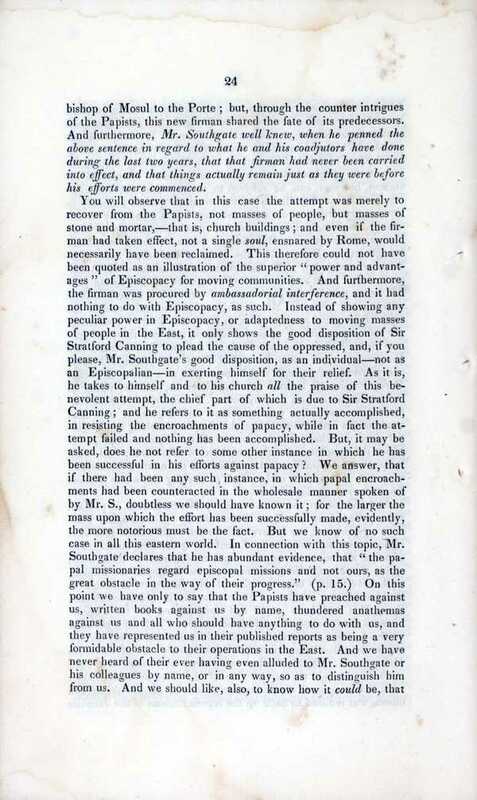 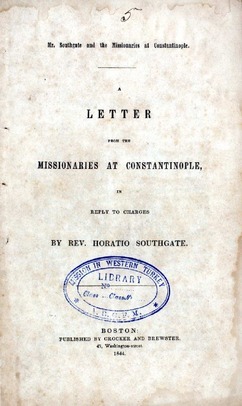 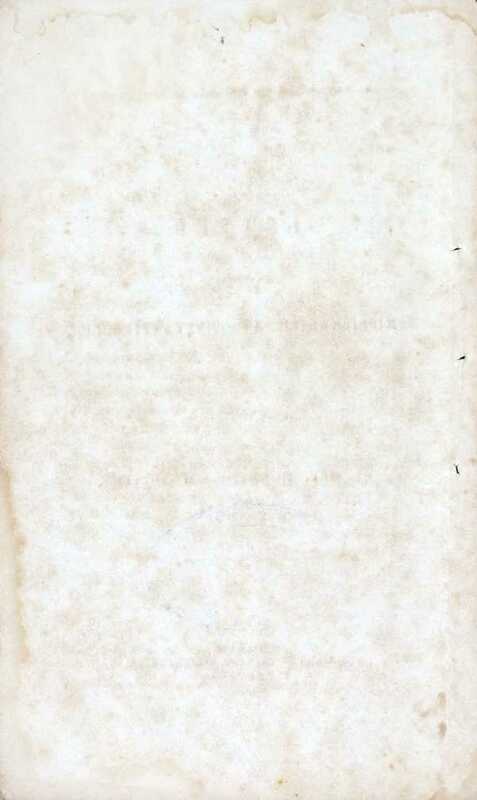 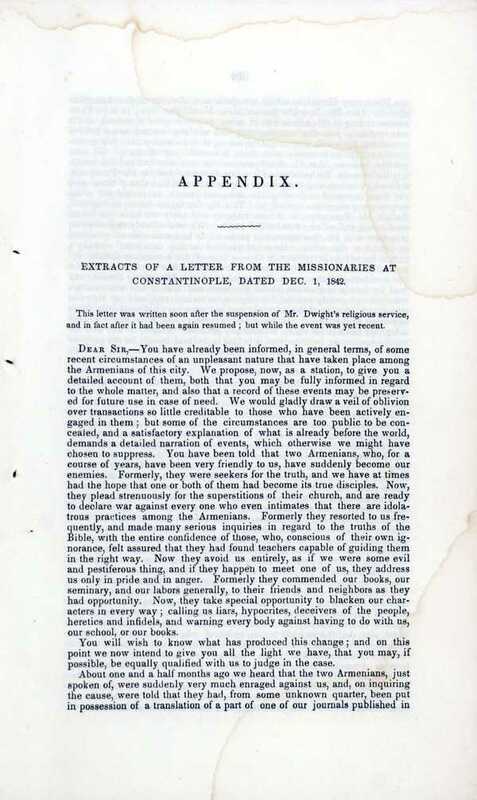 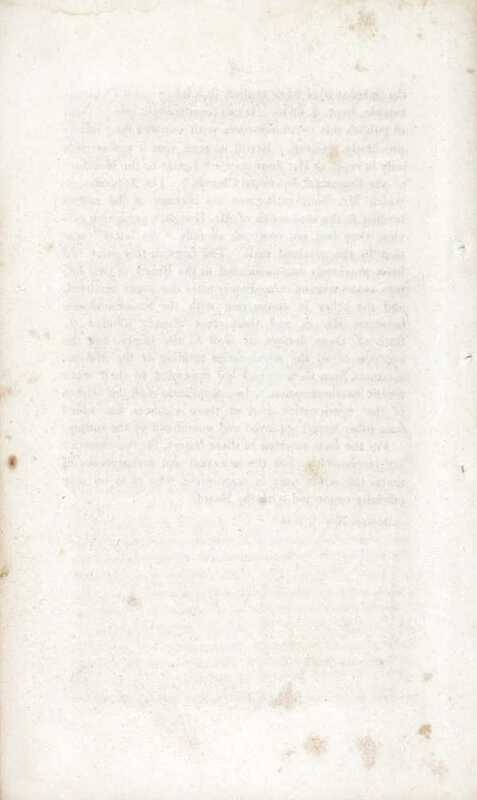 "A letter from the missionaries at Constantinople in reply to charges by Rev. 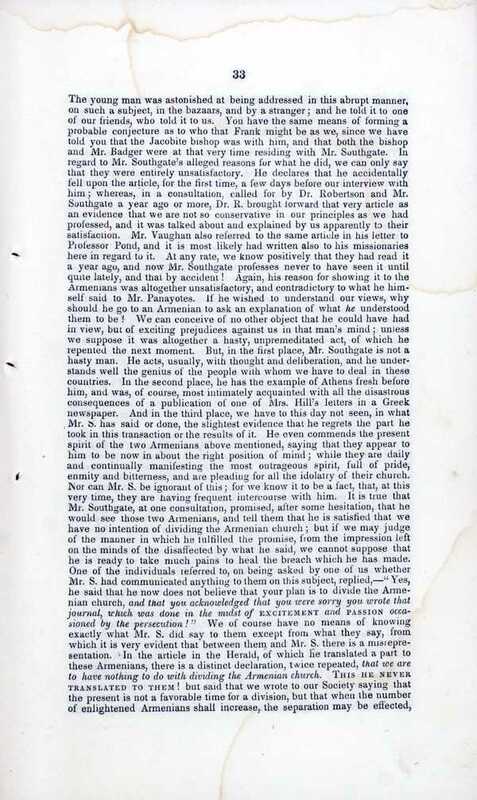 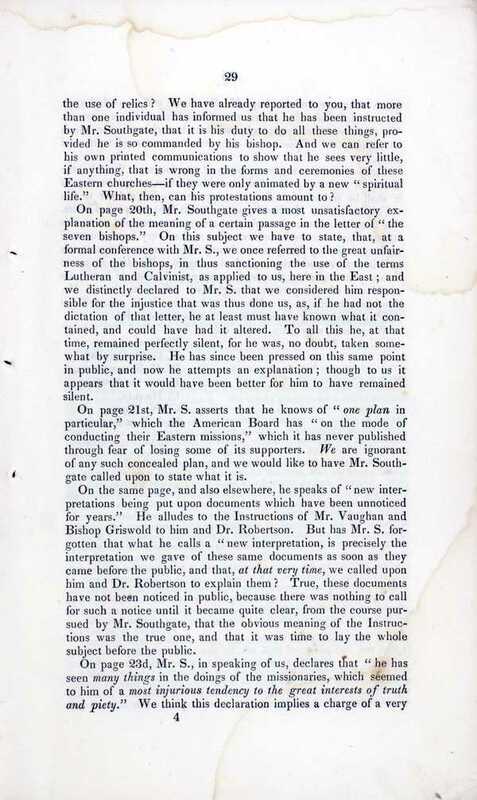 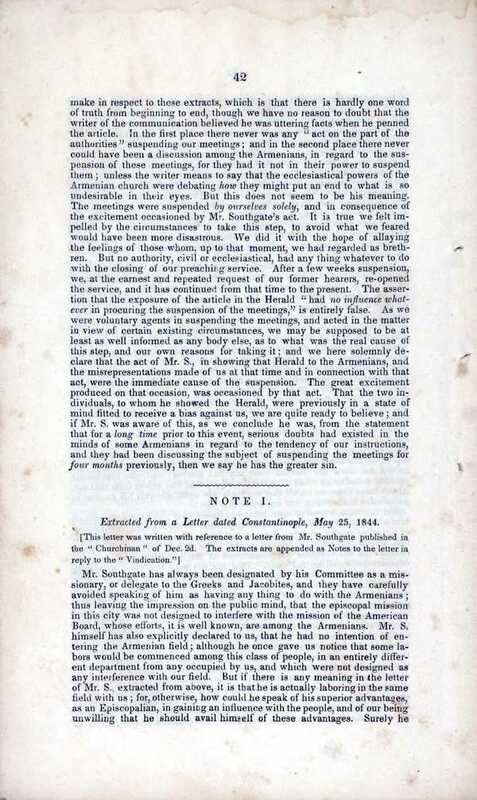 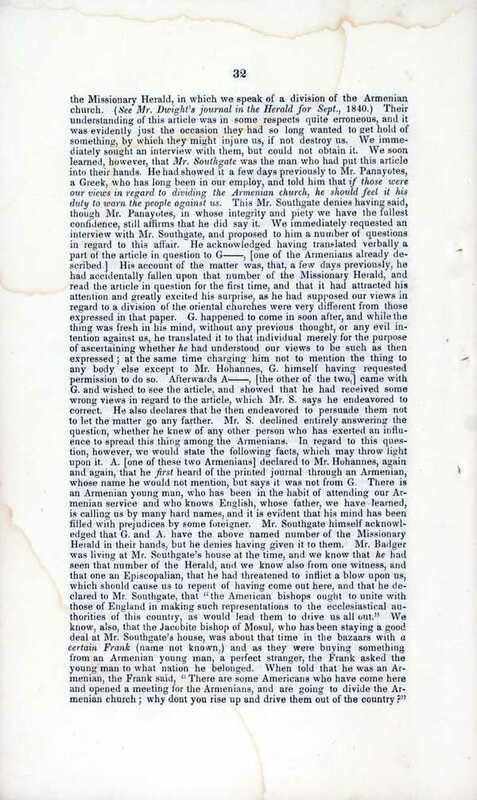 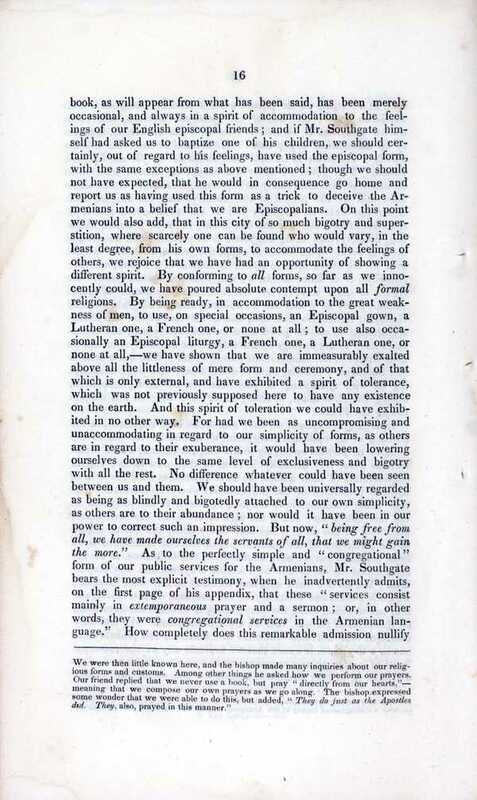 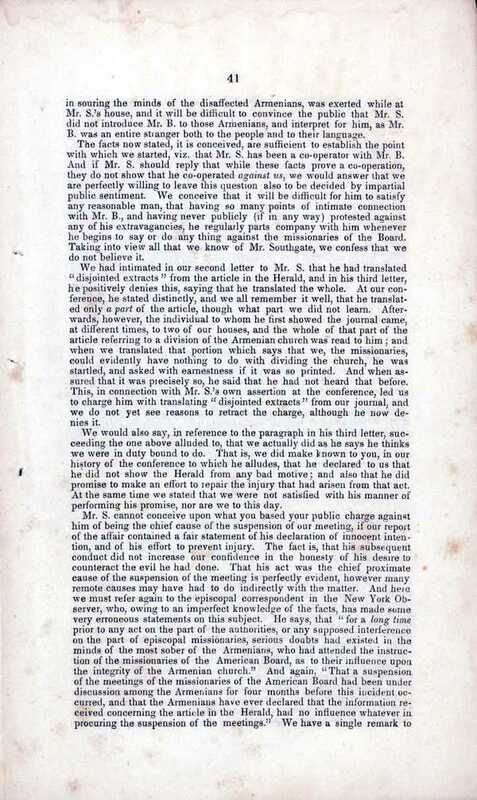 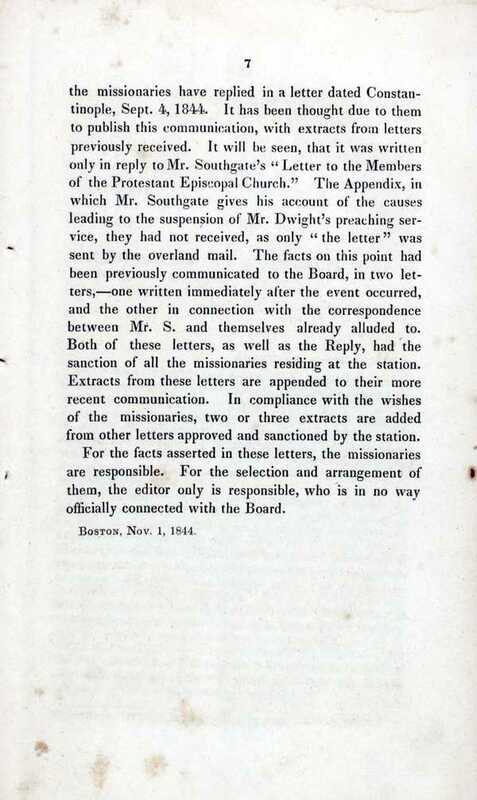 Horatio Southgate," American Research Institute in Turkey, Istanbul Center Library, online in Digital Library for International Research Archive, Item #11125, http://www.dlir.org/archive/items/show/11125 (accessed April 25, 2019).